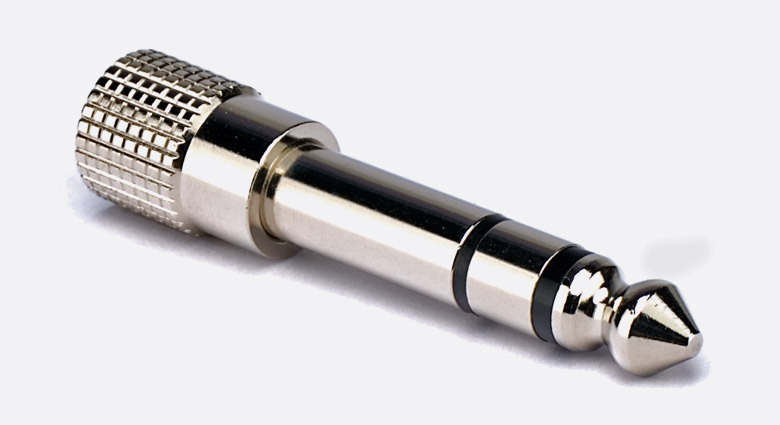 I have a pair of headphones with the big style connector. Google tells me it is called a 6.35mm plug. The problem is there are 3 wires that attach to the connector and all 3 are unattached. I've looked online for how to wire up a 6.35mm plug but haven't found anything useful. Since the wires are already disconnected from the jack I was wondering if I could simply wire them into a 3.5mm jack cable. Adapters exist to allow you to plug a 6.35mm plug into a 3.5mm jack but since I already have several 3.5mm cables lying around I'd like to just wire it up myself if that is possible. They are 1970s headphones so maybe just repairing the 6.35 jack would be better to keep them in original condition. So basically my two questions are does anybody know which wires go where on a 6.35mm jack? And is it possible to just remove the 6.35 plug and replace it with a 3.5mm? I know it is an odd request but I figured some people here probably have experience with audio equipment and might happen to know. I'm not an expert, but I'd imagine two wires are for left and right channels. The third would be ground? Looking at this guide, there should be three terminals on the replacement jack. This website might be able to help you figure out which terminal is which. This YouTube video shows how to test a socket, not sure if that knowledge would transfer to the jack. Audio cable jack sizes are interchangeable for the most part, especially with headphones. You should be able to replace a 6.35mm jack with a smaller 3.5mm jack.